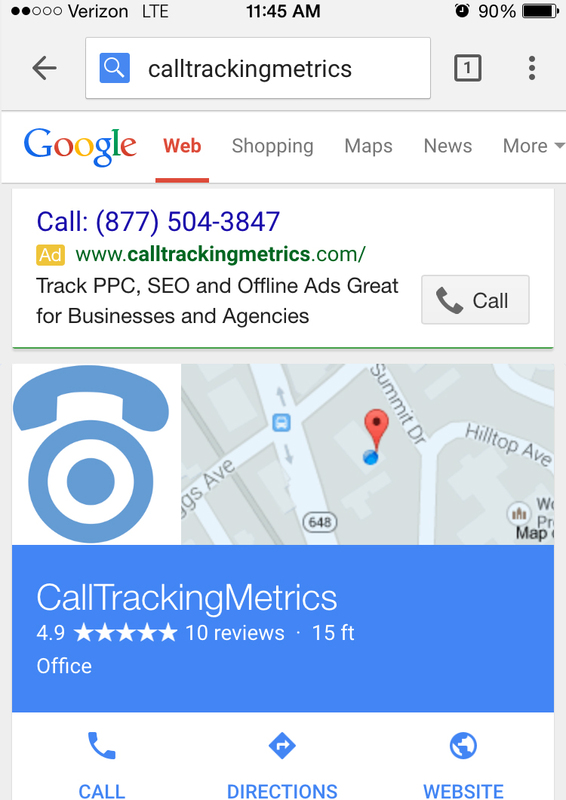 A few weeks ago Google Adwords released a new ad campaigned called the Call Only Ads. Let’s start off by discussing the differences between a call only campaign and a text campaign and how to use them in conjunction with your CallTrackingMetrics tracking program. Even though your website is displayed is it NOT a Clickable link. Click anywhere on the ad and it will take you to your dialer to dial the number. Clickable to your website link. Clickable to your ad extensions to place a call. When comparing the call only ads to the text ads, the call only ads act as fabricated ad extensions. When someone calls your ad extension google is going to charge you a same as a click, you aren’t going to be able to view any reporting around the search that took place before the call. This is essentially how the call only campaigns work; you’ll only get charged when there is a click to dial and there won’t be any visitor information reporting around the search before the call was made. In order for the Call Only ads to work with CTM You’ll need to follow these steps. Link your Google Analytics accounts to Google Adwords. 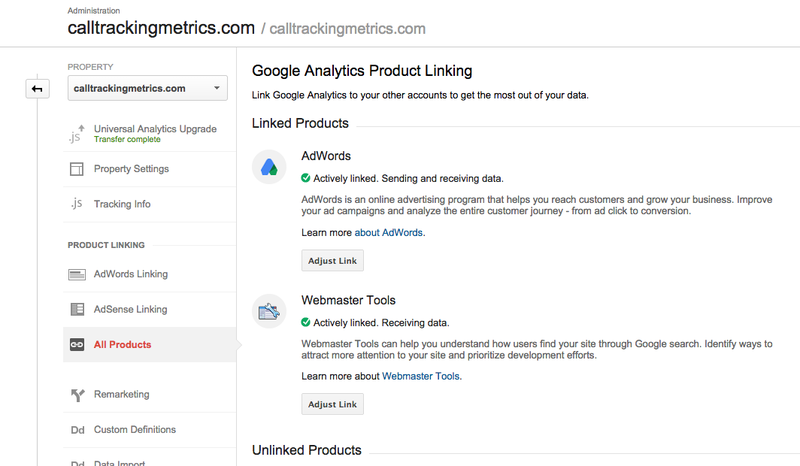 Link Google Analytics accounts to Google Webmasters. By having these two account linked to Analytics it bypasses the need for them to check your website to verify the number is displayed there. If you do not have both Adwords and Webmasters linked to your Analytics account Google is going to need to verify the ownership of the number by going to your website and comparing numbers. If your numbers do not match (which they shouldn’t if you’re using CallTrackingMetrics) they will not approve the ad. Much like how we recommend having separate numbers for Google Adwords and ad extensions, We also recommend having a designated number for your call only ads. This will create flawless and easily manageable reporting. Have you tried the call only ads? We want to know what your thoughts are, is it the next best things since sliced bread or is it a fad that will pass? Let us know by commenting below.